Its One of those things in Iceland you just have to see. 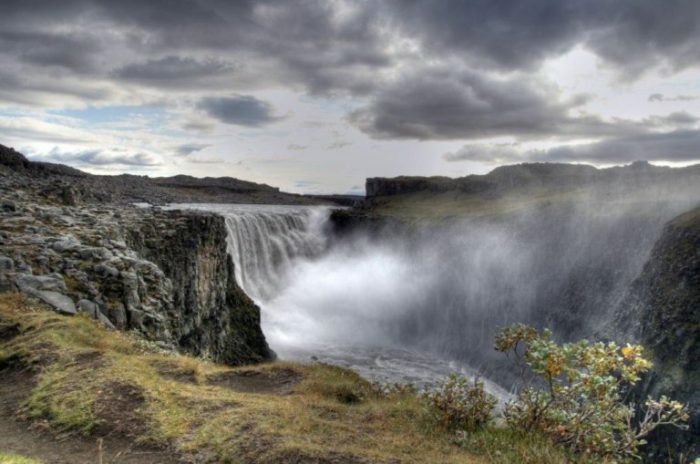 Gullfoss Or golden waterfall is a big attraction included in the “Golden Circle,” the country’s most popular day tour from the capital Reykjavik. This waterfall has two viewing points at different levels so you get to see the falls from different aspects. This majestic waterfall from the glacier river Hvítá. The 32 meters high waterfall creates, together with its surroundings, a natural work of art you have to see to believe and that is why it makes the top of our list of waterfalls in Iceland. Seljalandsfoss is one of the best known waterfalls in Iceland. Seljalandsfoss is situated between Selfoss and Skógafoss. Travelers get the chance to walk behind the 60 meters waterfall to get a once in a lifetime spectacle. Glymur is Iceland’s highest waterfall. 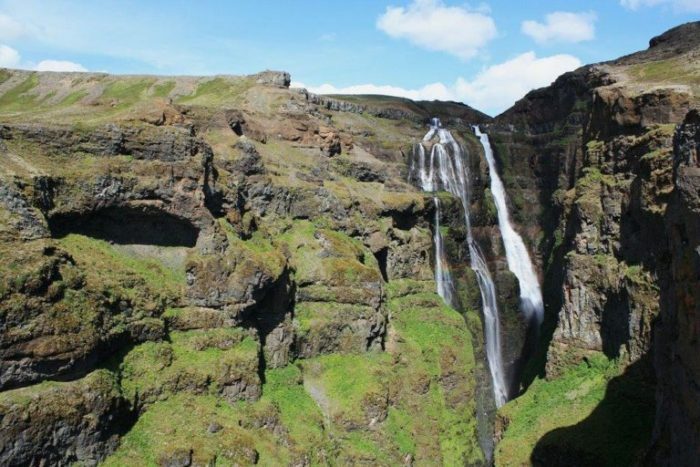 Glymur waterfall is located in Hvalfjordur in West Iceland, about an hours drive from the capital. Glymur made our list not only because it is a majestic waterfall but also because hiking up to Glymur waterfall is one of the best hikes possible to do near Reykjavik. Dettifoss is a waterfall in Vatnajökull National Park in Northeast Iceland and is part of the diamond circle a popular tourist route between Lake Mývatn and Húsavík, and is reputed to be the most powerful waterfall in Europe. Its great power can be felt from a distance if you place your hand on the ground. 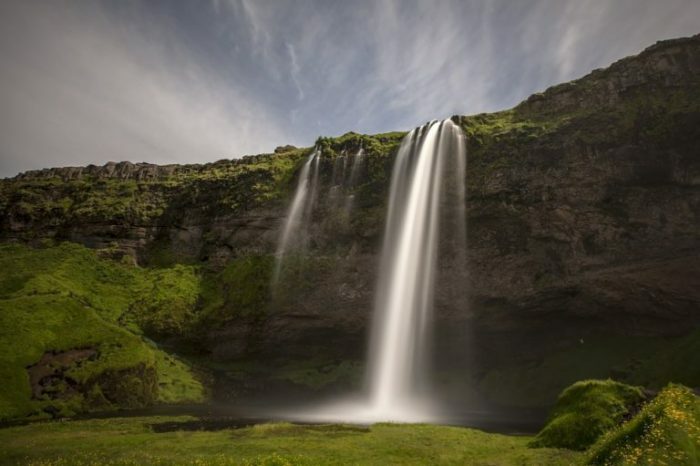 Skógafoss is one of the biggest waterfalls in the country with a width of 25 meters. 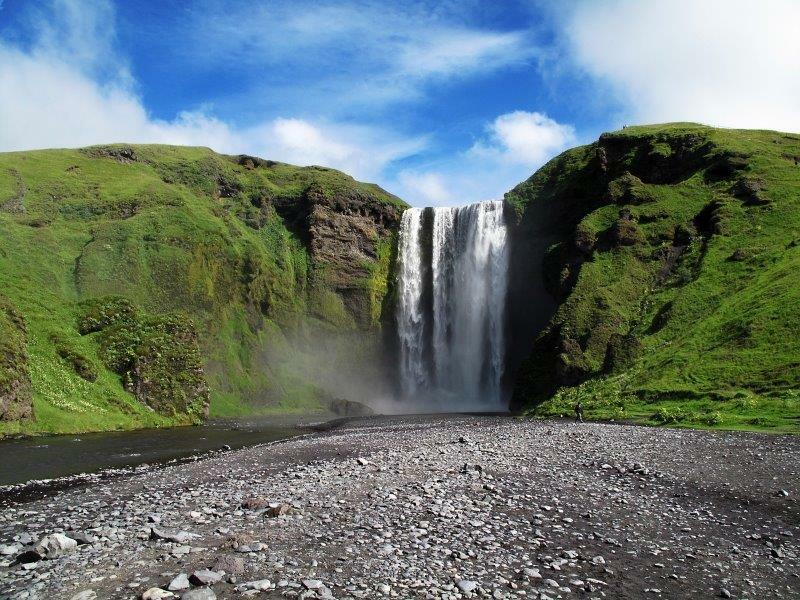 Skógafoss is one of the most popular tourist destinations along the south coast due to its sheer beauty. This waterfall has gained worldwide attention after it was showcased in two Hollywood films recently Thor 2 and Secret life of Walter Mitty.